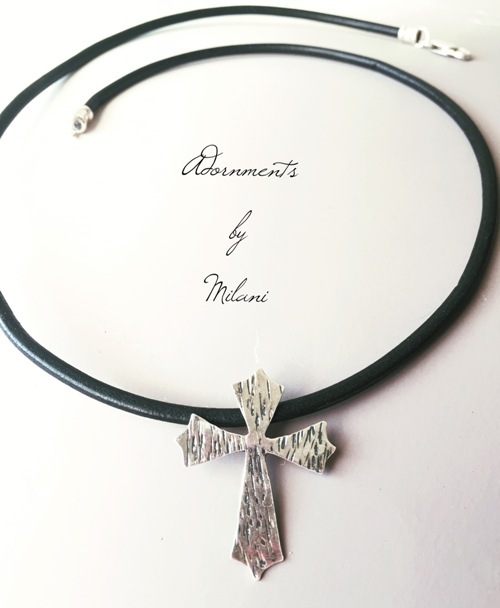 This artisan, cross necklace for men is the perfect gift for your husband, son, brother, friend, pastor, or clergyman, etc. I textured the metal and applied a darkened patina for a rustic appearance. 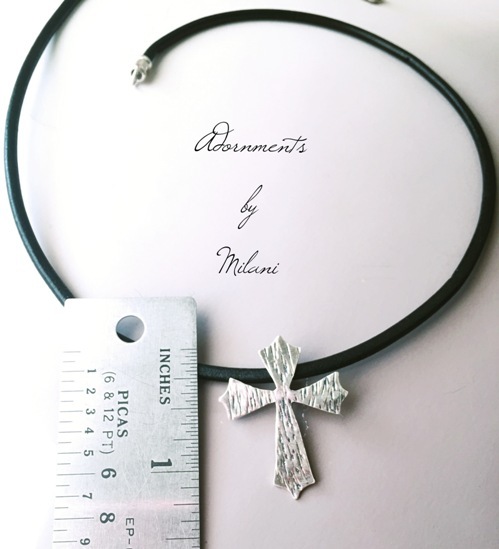 It is comprised of solid, sterling silver 925 and quality Greek leather. The pendant length is approximately 1.5 inches.